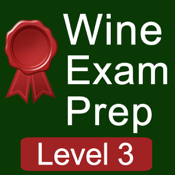 If you are taking any Wine exam like WSET or , or just want to improve your knowledge in Wine, this app is just the right one! A practice section is available and the exam version put yourself in the real condition of the exam with a timer. Please feel free to share this app with other Wine Lovers! A version in Korean and Chinese exists!